I'm thinking of having some stuff run again and I'd like to make a big order so it's worth driving down to pick this stuff up. 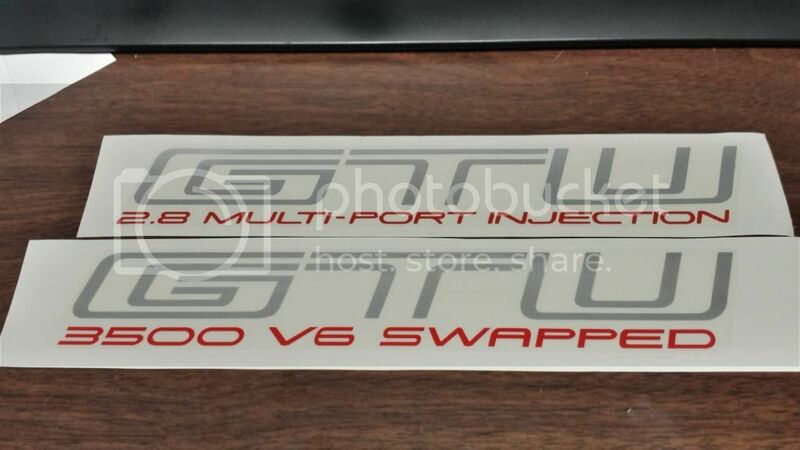 It's a complete loss of money for me to sell 1 or 2 Bnet decals when I have to go drive and pick them up and sell them for only 6 bux. *These are all printed as the originals, On clear vinyl and laminated, The GTU is silver text as well as the GTZ... I can have it in any color though if you wan to specify. Z26, you pick the color. 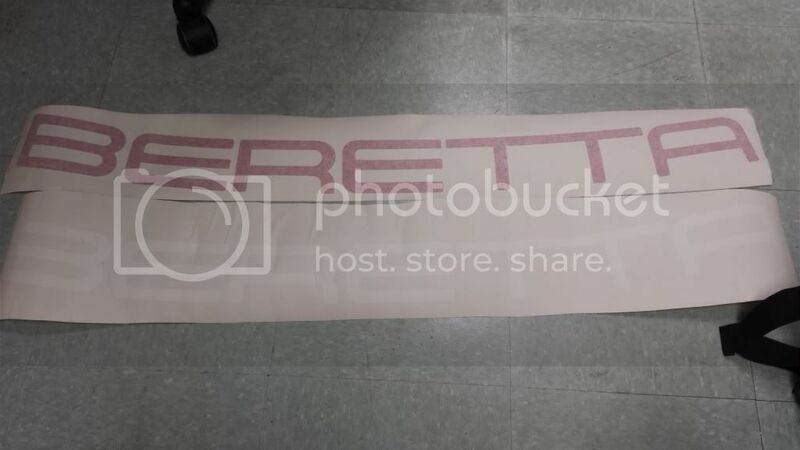 I would like a windshield banner and two Beretta net decals in silver. I could possibly get that done. I will try something today. Ok put me down for 2 GTZ, stock and W41. 2 berettanet in white. Will that put you up to the trip ? $25 each if you want a W41 and a regular one. 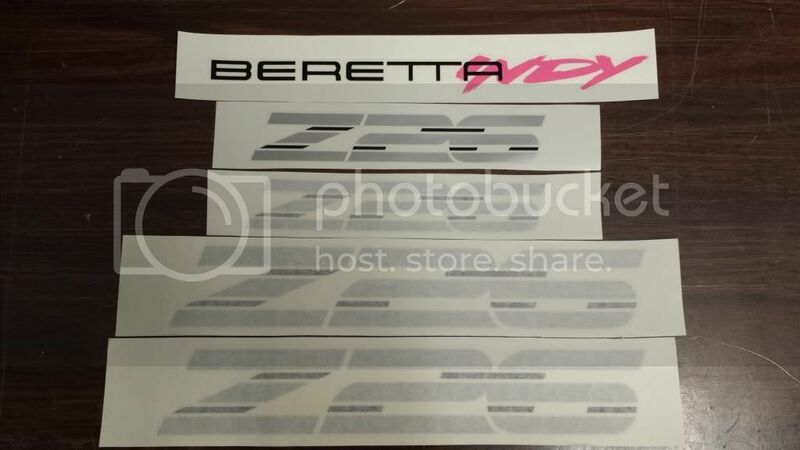 I will have to see if I have a Windshield banner in white... As far as the Z26 decals go I don't have an order large enough to have them printed so you'd have to find someone else who can replicate those... You can go the easy route and just get them from cut vinyl vs the printed version that I sell. That would be easier to find a place to do them. 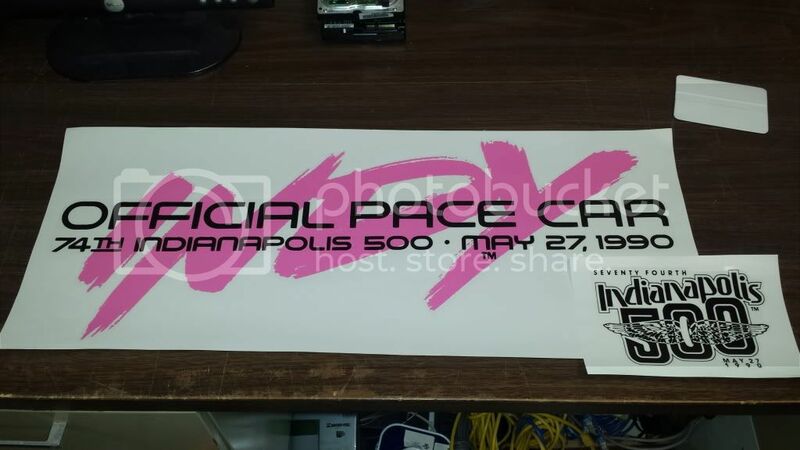 Ill have to see if the guy that decals my racecar can do them. If he does ill let everybody know and possibly we can get them all made. Do you have a file i can give him to do or are you just looking them up? Looking for a Windshield Banner in white if any are available. I don't have anymore in white... If I could get a solid group of interested individuals then I would be able to justify having another batch run in various colors. Until then It's not cost effective to have 1 of these made at a time.